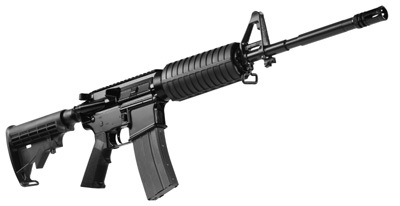 The AR-15 is a semi-automatic weapon that uses gas from a fired round of ammunition to cause the bolt and carrier assembly to extract and eject the casing of the fired round and chamber a subsequent round from the magazine. A gas port is drilled into the barrel and located under the front sight base or “gas block”. The gas from the fired round is channeled through this port and gas block, back through the gas tube (under your handguards), and into the bolt carrier key in order to “cycle” the weapon when fired. 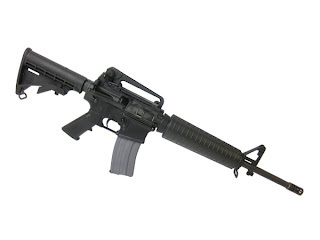 There are three types or designs of “gas systems” for the AR-15 rifle. In this post, we will briefly describe the benefits and any disadvantages to the three main types, with the purpose of helping our customers decide which design will best fit their needs and application. CARBINE: This is the shortest gas system for an AR-15 rifle (the pistol gas system is shorter, but we will limit our discussion here to rifle gas systems). It is often described as a 7” gas system, though the actual length is a bit different (these measurements are actually more descriptive of the handguard used). 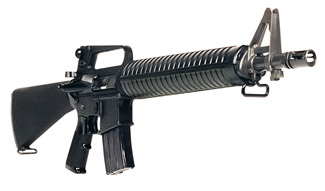 The carbine gas system if usually found on an AR-15 with a barrel from 11.5” to 16” in length. This system uses the smallest gas port for a rifle because the pressures from the fired round in this short system are high enough that a larger port is not necessary for the weapon to cycle. Because of this high pressure, some users believe that this style of gas system has more felt recoil and may cause parts associated with the cycling of the weapon to wear more quickly than with longer gas systems. The carbine gas system also has the shortest sight radius (distance between the rear and front sight), but is very compact and AR-15 models with a carbine system have been proven in use by military and police units for a substantial time period. 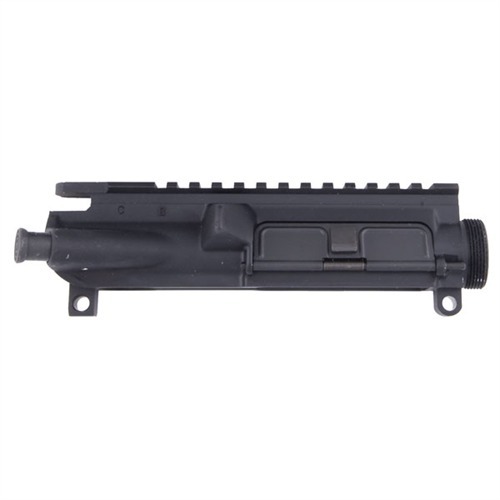 MID-LENGTH: This medium (9”) length gas system is generally used on 14.5” to 16” barrels and has a slightly longer sight radius than the carbine; this can be beneficial for accuracy when using iron sights. 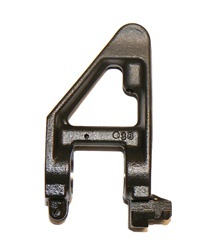 Also, the longer required length of the handguards can be an advantage for those who desire to use multiple support hand positions; if a railed style handguard is used, there is more space for the location of accessories without having diminished support hand positions. 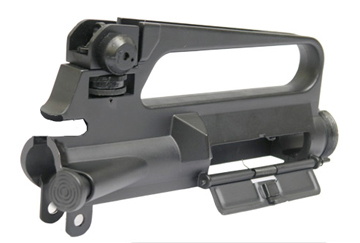 The gas block/front sight base is located further down the barrel, so a larger gas port is required in order to have enough pressure to cycle the bolt and carrier assembly. Many users report a lighter felt recoil or “pulse” on rifles with a mid-length system and believe it to cause slightly less wear on parts. RIFLE: Typically, this length (11”) of gas system is found on 20” barrels like the M16A2. It uses the longest handguards, and the much lower pressures at the gas port location so far down the barrel require a larger gas port. Currently at DTI, our dissipator style of AR-15 rifle (a 16” barrel with a rifle length gas system) has a true rifle length gas system. 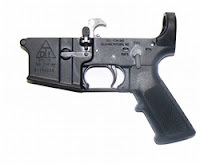 Many other manufacturers build this style of AR-15 with a mid-length gas system under the handguards using a low profile gas block; a front sight base (that does not serve as a gas block) is then installed at the typical “rifle-length” location. The main advantage of this style would be the very long sight radius. Possible negative aspects include the weapon being a bit “muzzle heavy” and limitations in ammunition selection (see next paragraph). 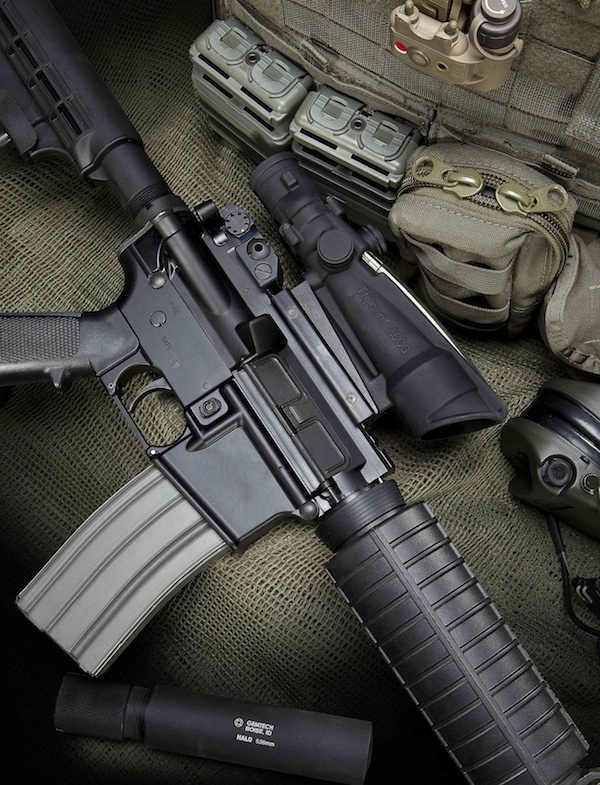 Many things can affect the cycling and reliable operation of an AR-15. Multiple variations from the original design have created real benefits for some applications. However, these variations may require additional modifications...or they may create new limitations. Having a mid-length gas system on a 14.5” or shorter barrel, or a rifle length gas system on a 16” barrel (true dissipator) can necessitate an ammunition selection that produces higher pressures. This is due to the distance for the gas pressure required for cycling to travel before most of it escapes out of the muzzle behind the projectile. Some of the less expensive ammunition may use lower quality gunpowder that burns inconsistently; this can result in gas pressure that is inadequate for proper cycling. The weight of the bolt carrier and buffer also play an important role in the cycling of a weapon, so the right combination is necessary for peak performance. Hopefully, this post has answered some basic questions about the various gas systems of the AR-15 rifle. 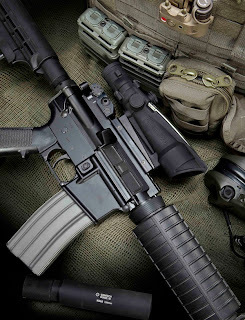 Thanks for reading our blog; if you have any questions related to the AR-15 or any of our products, please contact us and we will be glad to assist you.